My first four novels have been out of print. They made their way to the publisher in digital form, but it was dinosaur digital, and, until recently, not easily converted to e-books. This has now changed. From January 2013, my first four novels will be available in e-format through major bookshops as well as the usual e-pub sources like iBookish, iBooks and Amazon. GRACIOUS LIVING (Penguin 1989) plunges into the excesses of the 1980s. Adrian Dadswell, an entrepreneur, is the owner of a holiday resort that boasts everything from an indoor golf range to a fake rain forest. Adrian has a former wife and a disabled daughter who, together with their friends, live very differently from Adrian and his white-shoe brigade. It is these women – young and old, married and single, lesbians and mothers – who come to dominate the novel. The book explores the value of diversity, while at the same time presenting a harshly witty examination of materialism. 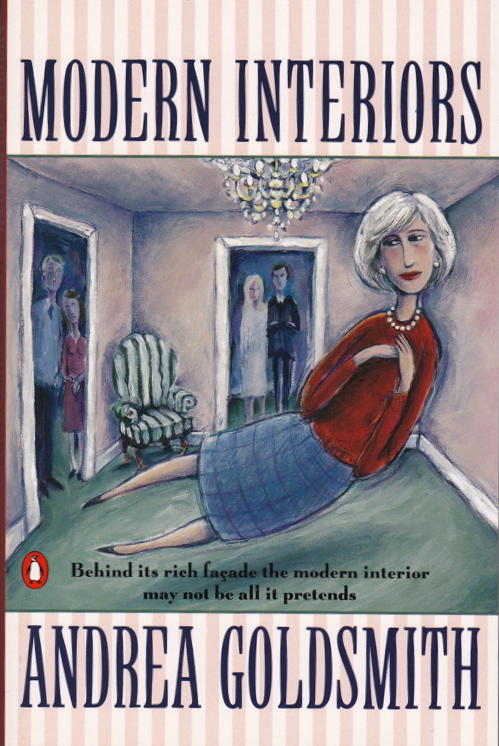 MODERN INTERIORS (Penguin, 1991) rummages around in the back rooms and passageways of the family. When her husband dies, Philippa Finemore, formerly a pillar of the Establishment, is determined to broaden her life. She sells the family mansion, acquires a lover and new friends, and devises new plans for the family money. Her adult children, rather than welcoming her new direction, are unrestrained in their condemnation of what they perceive as gross irresponsibility and personal betrayal. UNDER THE KNIFE (Allen & Unwin, 1998) crosses a modern tragedy with a feral biography. It does not take comfortable sides as it swings between the slippery poles of truth and fiction, resplendent public achievements and unpardonable private transgressions.Dr Alexander Otto has it all: a loving wife, a docile elder daughter, an angry younger one, a doting mother, and high regard as a bowel surgeon. But when he meets Edwina Frye, the woman commissioned by the College of Surgeons to write his biography, tragedy plays its ace. Soon he is running blind over the slippery slopes of obsessive love. Only when the dark secret he has hidden for most of his life threatens to surface does he finally come to his senses. But by then it is too late.